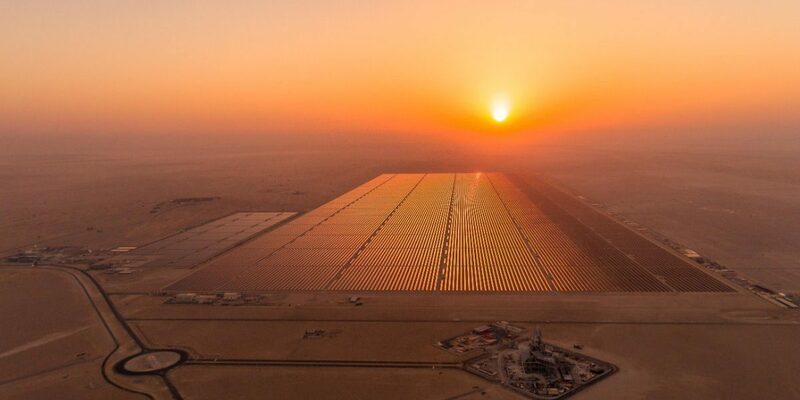 The sun is rising on the field of solar energy in Egypt, with the world’s largest solar energy park under construction in Benban, Aswan. In recent years, Egypt has been attempting to rely more on renewable energy sources. In February 2018, Egypt announced it would build the largest solar park in the world: the Benban Solar Park. The ambitious project aspires to provide somewhere between 1.6-2GW of solar power by mid-2019. Egyptian officials believe the project will produce 20 percent of Egypt’s power through renewable energy by 2020, which will serve 350,000 Egyptians and provide eco-friendly and cost-efficient power. However, Egypt has also recognized the need to create a network to promote its solar energy achievements as an attempt to bring investments into the country, especially since Egypt’s solar energy work, along with its recent economic reform program, make the country a great climate for investments. In an attempt to bring together decision makers, investors and solar panel manufacturers, as well as industry professionals, Egypt hosted a “Solar Energy Trade Mission” event on Monday and Tuesday. Organized by the Middle East Solar Industry Association (MESIA), in collaboration with Joint Forces for Solar, the event aimed to exchange experiences through several discussion panels, as well as highlight investment opportunities in the field of solar energy in Egypt. The event included several discussion panels aimed at highlighting the situation of the industry as well as exchanging voices between government officials, investors and international organizations interested in Egypt’s emerging solar energy market. Representatives of the Egyptian government gave speeches aiming to highlight the role of the government in fostering renewable energy sources through several notable projects. These were followed by several discussions about integral solar energy market concepts such as the Feed and Tariff program and whether they were a success in Egypt, all in hopes of creating a more open environment to investors. MESIA President Ahmed Nada told Egypt Independent that interest in Egypt’s solar energy market began three years ago. “Egypt announced the solar industry program in 2014, and at that time, Egypt had serious problems in power. So obviously any opportunity for power generation, regardless of whether it was renewables or non-renewables, was of great attention to anyone,” he added. Despite the challenges, Nada told EI that all investors still see Egypt as a great hub for renewable energy for several reasons. “First of all, Egypt is a very large country, so naturally when there is a program, the size of it will be outstanding,” he noted. “Number two, because at that time the need for energy was substantial, it was exploring all avenues: fossil fuel, solar energy, wind energy. So it was a demand situation and we were able to capitalize on that. All the players in the industry had a space to come and work on it,” Nada continued. “Reforms were also a fundamental issue in bringing investors. Basically, the fact that Egypt accepted that we have to make reforms on the subsidies and the structuring of the tariffs was not only helping the industry but the economy in general,” Nada added. Lamiaa Youssef, GM for renewable energy projects at the Egyptian Electricity Transmission Co., echoed Nada’s thoughts. However, she believed that reforms were not the only substantial change Egypt undertook to attract investors. “After 2015, we witnessed revolutionary improvements such as entering 2.5 gigawatt at a fast-track plant in one year. We also built three huge stations with Siemens, which generated a surplus in energy,” she noted. “We are also currently concluding agreements for energy connections with Cyprus and Greece, as well as Saudi Arabia. This will truly make Egypt an energy hub,” Youssef said. Daniel Fuchs, vice president of Joint Forces for Solar, told EI that as a networking organization, Joint Forces for Solar saw this as a good time to foster Egypt as a renewable energy hub. “Egypt in general is a well-developed country for North Africa. We saw three years ago that there is a big rush and hunger and demand for solar energy in Egypt. Now that the tariffs are coming back and electricity generation prices are going lower, this is exactly the right choice to achieve energy independence and create new jobs,” he asserted. “The market is improving. We feel like there is a certain maturity of technology here as well. But I think the most important thing is that the country gets energy independence,” Fuchs added. However, the opportunity to invest was also picked up by several other companies, as a new country in the field of solar energy needed the following: experts in manufacturing panels, experts in panel technology, experts in inverter technology, experts in transmission, and experts in dispatchability, as solar energy is a dispatchable energy. Therefore, all these opportunities opened up for several, differently specialized companies to invest in Egypt. One of those companies was Scatec Solar, a Norwegian-headquartered company focusing on solar PV energy projects worldwide, especially in emerging markets. It is one of the largest independent power producers (IPPs) in the world. The feed-in tariff program in Egypt was announced in 2014 in an attempt to fight the recurring power shortages in the country. It guarantees that the government will pay a set price to businesses or households that produce their own clean power. While the market seems to be flourishing, Egypt still faces some fundamental problems that, unless resolved, will prevent it from developing its solar energy market any further. Rob McNabb, partner in Eversheds Sutherland law practice, spoke to EI about the hurdles that Egypt needs to focus on solving in order to achieve its full potential in the solar energy market. McNabb told EI that Egypt’s biggest problem is that it does not have its priorities straight. Some countries aim to achieve the lowest prices, McNabb said, while other countries focus more on creating employment opportunities, even if it comes with a higher cost, as well as higher tariffs to encourage local production. “You need to allow and support companies investing in manufacturing facilities, which has a capital cost,” he said. So far, according to McNabb, Egypt has been trying to balance both, but it needs to go one way or the other, in his opinion. “The more you push the local content in the initial market, the higher the tariffs will be, but you get the local employment. The Egyptian government wants both, which is understandable but also impossible,” he explained. Eversheds Sutherland was responsible for representing the bidders in discussions with the Egyptian government to present what the financiers and developers need in order to finance several large Egyptian energy projects. Youssef believes Egypt’s focus should be on local employment, as it is a more sustainable way to go. “We need incentives for manufacturing to encourage the increase of the local component. We have a lot of skilled labor, as well as companies specializing in the feed-in tariff, so this has become an Egyptian asset that can be then be moved to Africa and Arab countries,” he said. Hassan Amin echoed, Acwa Power country director in Egypt, echoed Youssef’s opinion, as local production and employment will help boost the economy. “I want hard currency used to buy locally manufactured equipment. Also having locally manufactured equipment could be our entrance to the international market, as no one will sell to the world unless they establish a local market first,” he stated. “We have the market to introduce locally manufactured equipment due to the high consumption rate of electricity. Since solar energy prices are now more reasonable than in the past, then all I need is the equipment,” Amin added.